Its mentioned in the handbook. I get it as well. Exterior front lamps and rear lamps have vents to accommodate normal changes in air pressure. Condensation can be a natural by-product of this design. 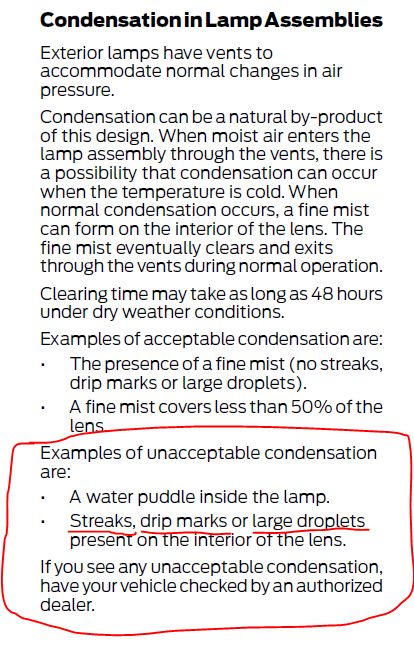 When moist air enters the lamp assembly through the vents, there is a possibility that condensation can occur when the temperature is cold. When normal condensation occurs, a fine mist can form on the interior of the lens. The fine mist eventually clears and exits through the vents during normal operation. Clearing time may take as long as 48 hours under dry weather conditions. The presence of a fine mist (no streaks, drip marks or large droplets). A fine mist covers less than 50% of the lens. A water puddle inside the lamp. Streaks, drip marks or large droplets present on the interior of the lens. 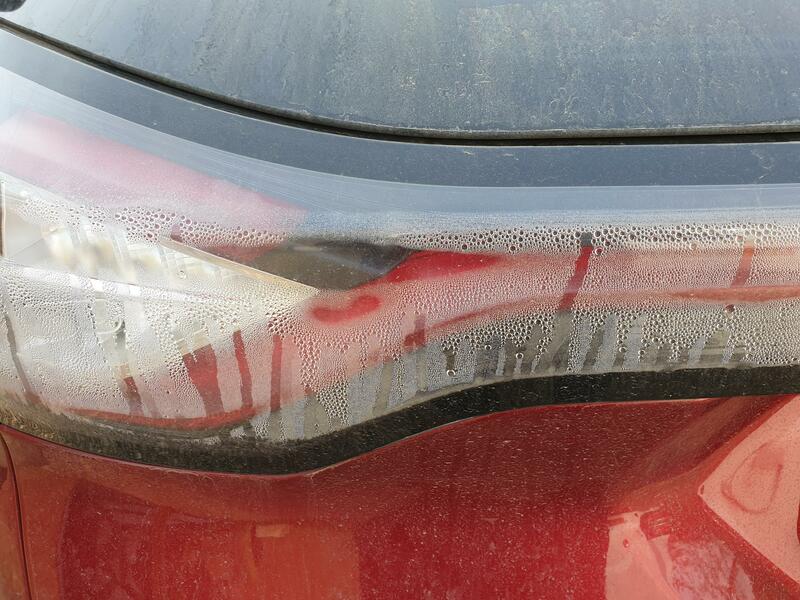 If you see any unacceptable condensation, have your vehicle checked by an authorized dealer. Yes, I have the same problem and dealer stated not under warranty because it is considered "trim" to replace this they want over $1800. I get this every time I wash my car, the rears fog up, in fact my previous car did it, and was told it's a 'characteristic' of the lights/reflectors by the dealer so I didn't even bother mentioning it to the ford dealer. My previous car was manufactured by Vauxhall/Opel BTW. I don't get much in the outer rear lights but my centre strip is terrible. Not just condensation actual big drops of water running down it all along its length. Going to dealer next week to have it replaced under warranty. It is so bad no quibble, dealer just said yup needs replacing. The new one will probably be the same as its not actually a fault, but, now they've tried to 'fix' it everyone thinks its a fault. It's not the cost its the expectation and the disappointment if the replacement part is actually the same. One of the reasons Ford, and other manufacturers, mention this in the Manuals. Hamster, I know for many it isn't a fault, a small amount of condensation is the norm and is acceptable. If it beads into water droplets like you are seeing (and is not just a light vapour mist that will naturally clear), I agree with you that this is not acceptable. I have exactly the same problem and have even tried complaining to customer services to no avail! The lights are full of water yet the warranty people claimed this to be a "Phenomena" I had even sent photographs of this to prove my point. I looked online and it appears to be a problem on both sides of the pond, the difference being is the the US guys are replacing them. What annoys me is that you have a genuine problem, which is clearly a design fault, yet they choose to completely ignore it. I have sent my complaint to TMO, The Motoring Ombudsman but have no idea what will happen there. The text I posted was from the Owners Manual, it's in black and white (and Ford's own words!!). Don't see how any dealer can dispute that. 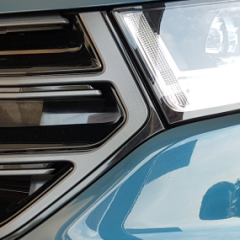 Not only are there a number of cases in the USA that are being replaced, but quite a few in the UK are having theirs changed, some are on their 3rd and 4th sets of rear light clusters!. As I always say on here ... if you are getting fobbed off by a dealer, when clearly there is a case and others are being sorted ... FIND YOURSELF ANOTHER FORD DEALER AND TAKE IT TO THEM!